Disability Eddie is an animated DVD and interactive educational resource about disability and is aimed at preschool children between 3-5 years old, which we launched in 2016. The animation aims to help preschool children understand and normalise disability with the character Tammi the Tortoise (voiced by Baroness Grey-Thompson) who meets Eddie and his friends. The project is the third DVD in the series of ‘Eddie and Friends’. The colourful animation helps to capture the children’s imagination and opens their minds to disability being a normal part of life and society, with the aim that this positive message remains fresh in their minds for life. The script and ideas behind the film were developed in close consultation with the Centre of Independent Living in Kent and Early Years professionals. 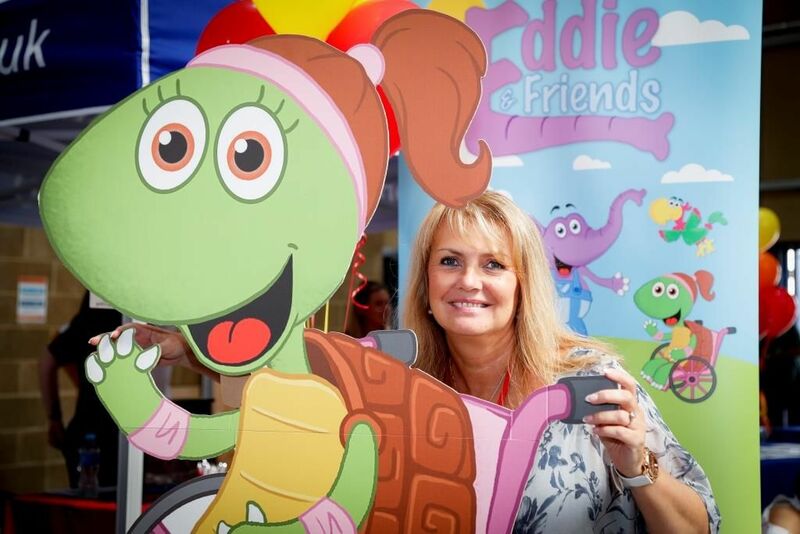 Launched at the House of Lords in October 2016, at an event hosted by Baroness Tanni Grey-Thompson, Disability Eddie is designed to engage and educate preschool children on a range of topics including hydration and nutrition, whilst also developing their numeracy and literacy skills. The resource pack was rolled out free of charge to 80 preschool settings in Maidstone and was a great success. The packs are also on sale nationwide and all profit made will be invested in creating further films in the series. Excellent feedback has been received from educationalists across Kent and both Golding Vision and Wellbeing People were invited to attend the local Special Education Needs Coordinators Forum (SENCO) and the Local Inclusion Forum (LIFT) to give a presentation about Disability Eddie. A launch event was also held at a local pre-school with a special showing of Disability Eddie and guest appearance from Steve Brown, former GB Wheelchair Rugby Captain, which was covered on Meridian TV. In February 2018 we began the process of contacting each setting again to obtain further feedback around the use of the resource and to find out how the ‘Normalising Disability’ episode has performed. Not only was the message that Eddie and Friends had an initial impact, but we also found that over the months there is continued value being gained from the resource. From the data we collected, we estimate that 1600 children have used the resource, whether through using the activity sheets, watching the films and/or having a discussion on the topics. One preschool commented that one of their children has Cerebral Palsy and they were able to organise small discussion groups to further help understanding. Another preschool said it helped open up conversations with children and adults. "It was very exciting to have such a special visitor come to the preschool and a great opportunity for the children to view disability in a positive light from such a young age. We were happy to host the launch and share the resource with the children."